School is out and family vacations have been planned. With vacations, day trips, and long weekend vacations in your near future, you need a plan. If you are an old pro at traveling with small children, please share your wisdom in the comments.We would love to hear from you! 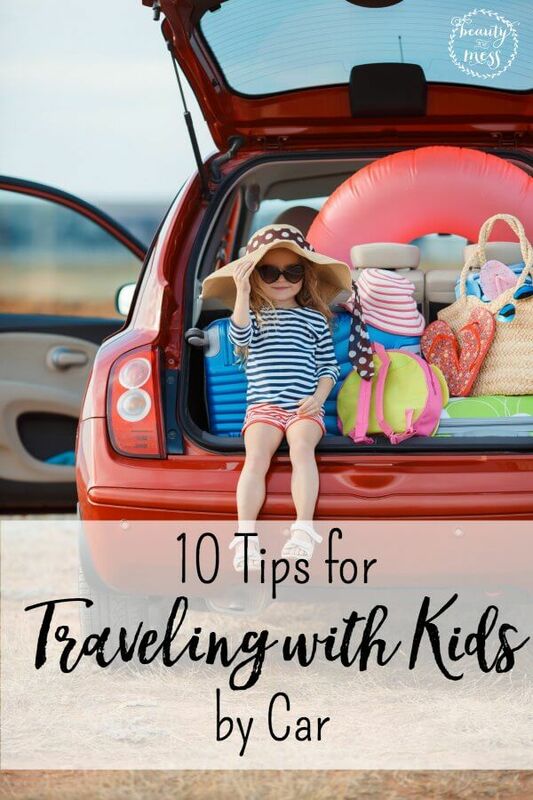 For those of you like me who start sweating and get anxious with just the thought of traveling with littles, this post is for you. Breathe. Relax. You can do this! 1. Make a List. Even if you are not a list maker by nature, when traveling with littles, you need to make some lists. First off, a packing list. You will want to include even those necessities that you think you could never forget. Like diapers. Seriously. Put them on the list. It may even be helpful to make a list for each person. If you take that list with you, it will also help you pack everything up to travel home. You won’t accidentally leave a favorite stuffed animal in a hotel drawer or shoved under the bed. Click here to get to the Packing List that I made to get you started. 2. Car Activities. I have seen some excellent Quiet Books on Etsy. They are pricey, but a lot of time and effort goes into them. You could also make your own. My kids love their Magna Doodles. Books are easy to tuck in their seat so they can grab them when they want to. The key is that the activities don’t make noise on their own. Our children each have their own backpack they take on trips. They pack it with items they want to play with, and Mommy adds (or takes out) toys or books they usually play with at home. 3. Stop. Once we get on the road, I really just want to get to our destination. But with small children, that is just not possible. Rest Areas make excellent places to stop, stretch your legs, go to the restroom, feed a baby, and let your older kids run off some energy. You can even pack a lunch or dinner so you save money and don’t have to take cranky kids (and let’s be honest, parents) into a restaurant. 4. Essential Oils. Especially for long drives, I highly recommend Peppermint Essential Oil to help keep you alert. You can take a drop on your tongue or in a glass (not plastic) of water and sip on it during the drive. It will also help with possible upset stomach while on the road. 5. Books on CD/ Music CDs. We love listening to Seeds Family Worship CDs in the car. The music is well written, and it’s a great way for the whole family to memorize Scripture. Your local library is a great place to look for children’s books on CD, and it’s free. We have found Disney Princess Story CDs at Target. You could also ask friends, search Craigslist.com, and Freecycle for cheaper options. Audible.com is another resource. 6. Low expectations or no expectations. This one is huge. When things don’t go the way we expect, we get frustrated and grumpy. That isn’t pleasant for anyone. 7. Sleep. We always seem to miss this one and always regret it. I don’t suggest trying to pack everything the night before (hence the packing list) and missing out on a good night’s sleep. It’s doable. But I don’t advise it. Frustration levels increase more easily when you are tired and you really don’t want to put your family or other drivers in danger. 8. Blankets and Pillows. I always stash a couple of pillows and blankets in-between the carseats so the my oldest two can grab them when they get tired. They are more likely to take a nap in the car if they have a blanket to snuggle with. Even during the Summer. Our favorite travel blankets are aden + anais. They are the perfect size to cover even our 7 year old but not bulky. 9. Pray. 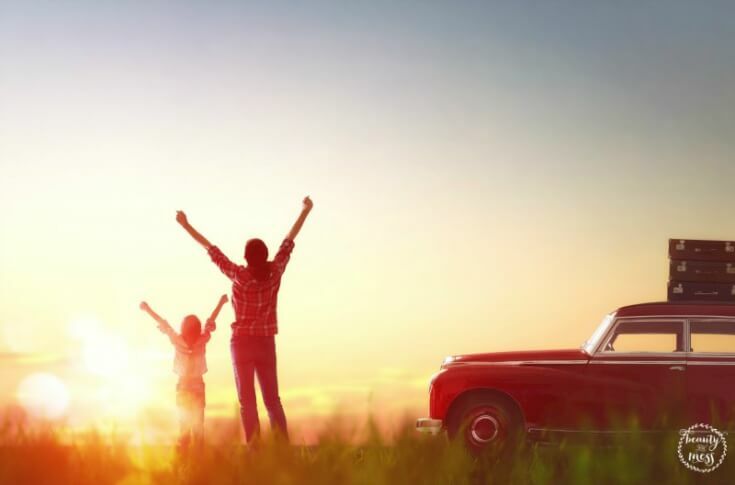 We pray that God would keep us alert on the road, and that we will get us safely to our destination, and thank Him for His blessings that we are able to make the trip. We also pray that our eyes would be open for divine appointments. You never know whose path you’re going to cross on a trip. It’s not a magic formula, but it does help us keep our perspective on Him. 10. Mama’s Bag o’ Tricks. You need to have a bag, or container, that has special toys and possibly snacks that you only bring out when you have exhausted all other options and the only thing that will make everyone happy is to get out of the car. Hide this collection so it is a surprise when the time comes to pull it out. Before we leave the house, I always make sure everyone has their water bottle and sippy cup full of water. Do you have any tips and tricks to add? Please leave them in the comments! Definitely #3 and #10! For #3, when we plan a vacation, we try to plan stops ahead even by locating a few parks or state parks we can stop at for lunch and some playtime (let them burn some energy!!). I would add we usually pack our own lunch along with packing a goodie snack bag (#10). You save money by bringing your own lunch and get to enjoy eating outside (or even in the car) without the hassle of unloading everyone at a restaurant or waiting forever at a drive-thru. Funny you mention packing the night before. Fortunately we’ve learned over the years NOT to do that. One time, I remember staying up all night packing–not fun! That’s so exciting. 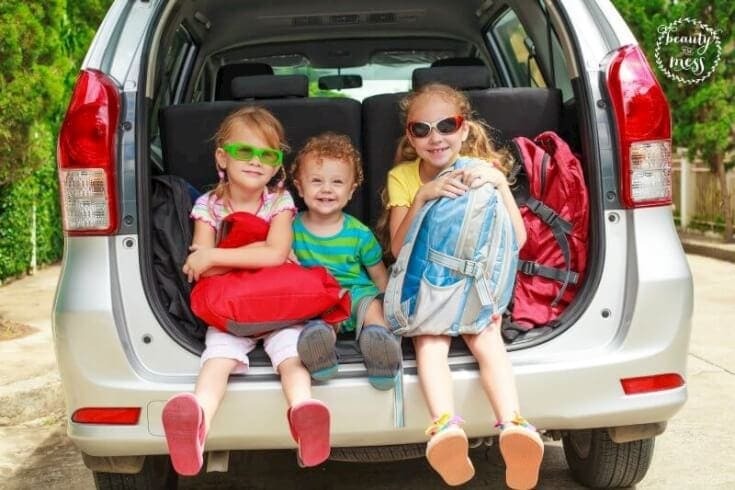 Glad to read these helpful tips for future multigenerational trips!